Convincing middle management to change is tough, Mueller says. HANOVER, Germany -- Volkswagen Group CEO Matthias Mueller said some managers are resisting the automaker's push for a new era of accountability after its emissions fraud, suggesting it could still take years to establish a new corporate culture. VW's drive to become more transparent and decentralize power is seen by investors as a key part of its campaign to regain trust following its admission in September 2015 that it cheated on U.S. diesel-emissions tests. But efforts to convince people in VW’s broad middle management of the need to change are still proving tough 20 months after the scandal broke, Mueller said. 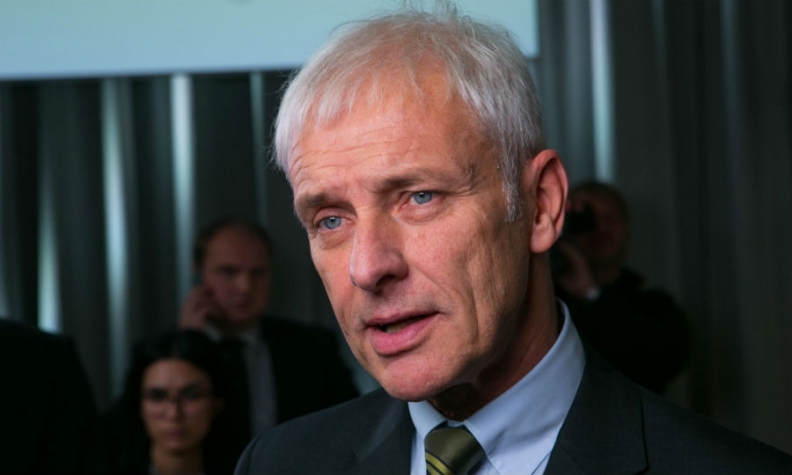 The executive became CEO of Volkswagen in September 2015. "There are definitely people who are longing for the old centralistic leadership," Mueller said during a discussion with business representatives late on Monday. "I don't know whether you can imagine how difficult it is to change the mindset." Before the scandal there was an extreme deference to authority at VW and a closed-off corporate culture that some critics say may have been a factor in the cheating. One of his priorities since taking the helm has been to decentralize power and reform the command-and-control structure that was prevalent under former bosses Martin Winterkorn and Ferdinand Piech, Mueller said. When the cheating was uncovered, Mueller promised VW would learn from its mistakes and introduce changes to prevent such a scandal from recurring, but on Monday he admitted the task was harder than expected. "You are permanently caught in a field of tension based on the question of how much (decentralization) can the company tolerate and how much can it not," he said. "The process (of change) has been started but it's a process," Mueller said. "One now has to endure this, also as chief, that some things go wrong and some things remain unsuccessful while other things are successful." Many mid-level managers thrived under pre-scandal arrangements that allowed them to shift responsibility to others, and they are struggling to embrace Mueller's drive for openness and leadership, sources at VW have told Reuters. With VW also pursuing a multi-billion-euro shift towards electric cars and new technologies, many managers are focusing on protecting themselves rather than providing leadership in their departments, the sources said. "The search for those who made mistakes always took precedence over the search for the mistakes," one said, speaking on condition of anonymity. "That mindset is still there." After Porsche's ill-fated attempt in 2008 to 2009 to take over much-bigger VW, Mueller said it took him three years as CEO of the sports-car maker to establish a new culture at the firm with its then 12,000 workers and shift the focus back to the product. "Of course there are anxieties, it's not an easy undertaking" to overcome VW's management hierarchies, he said. "The only question is how long will it take?"